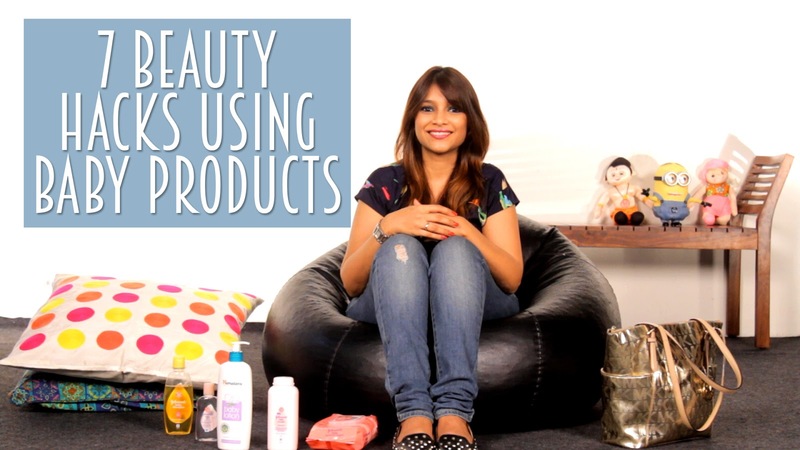 7 Beauty Hacks Using Baby Products! Some of the beauty industry’s best-kept secrets can be found in the baby aisle at the super market or at the baby store. You can't even imagine how much easier your life can become knowing these secrets. Here I am sharing with you at seven easy hacks with easily available baby products that can work wonders for you and are skin friendly and budget solutions for your beauty dilemmas. Winter Magic with Medimix Ayurvedic! Aaahhh the winters are here! :) The chill in the air, the endless cups of tea and coffee, winter special food and the coziness of the blankets, all these make winters so so special. On the flip side it also brings dry skin and the need for extra care which my skin needs as it becomes very very dry. My husband is a big advocate of using glycerine for retaining moisture in the skin, as his grandmother and mother use generous amounts of glycerine with lime juice to avoid dry skin during the harsh and dry winters of North India. So this season after a little research, I bought the new Lakshadi oil based glycerine soap from Medimix. 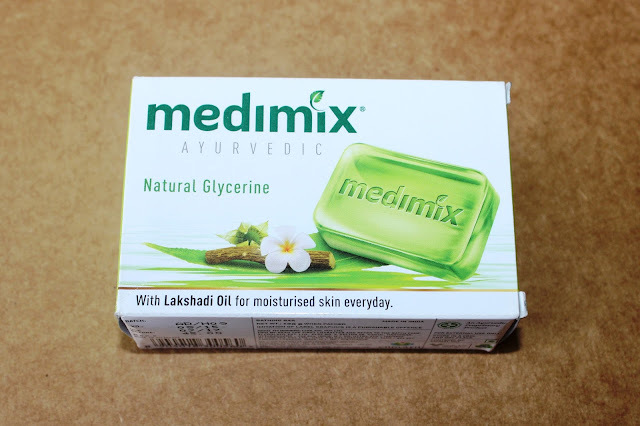 Medimix has been around for many years and is one of the leading Ayurvedic soap brands in India. Finally time for me to 'Go Natural with Medimix'! Yesterday my best friend called me to check if I would be interested in enrolling for the mother toddler class, and the question totally took me by surprise because I hadn't ever thought about it seriously. It got me thinking as to how prepared we have to be from such an early stage of our child’s life. 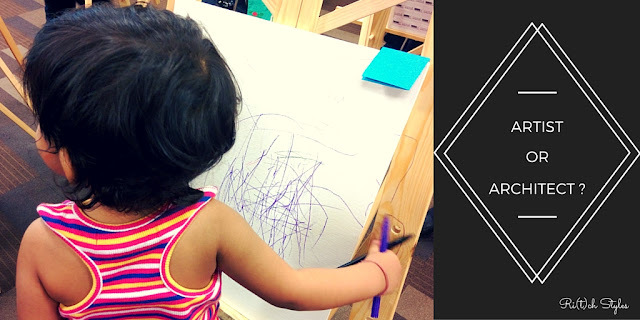 I took this up with PS and the discussion went from the mother toddler class to pre-school planning to school then college, and then we were stumped as it’s really not possible to plan so much as we can’t predict as to what profession our daughter will pursue when she grows up. 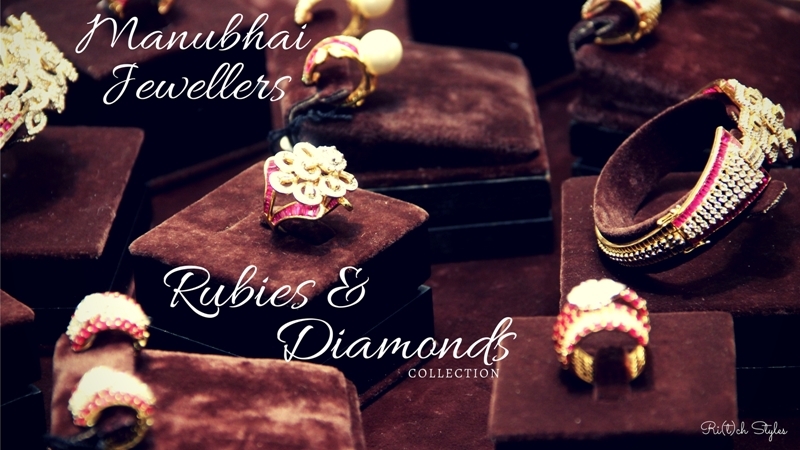 The Love Story of Rubies and Diamonds! Gold jewellery and Indian women are inseparable. Tradition calls for jewellery to be a part of every important phase of an Indian woman's life, right from birth to marriage to childbirth, to festivals to any celebration. Take that further to aesthetics, and jewellery according to me enhances a woman's look to a totally different level. This especially holds true for statement pieces, diamond jewellery and jewellery set with semi-precious stones. It’s All About The Gucci: Spotting A Fake! With the number of luxury brands increasing, the presence of fakes has increased. A case in point would be the watch industry which has been one of the main targets of the counterfeits industry and this has caused a lot of problems within the watch industry over the years. Gucci watches are one of the most replicated ones at the moment and you can see loads of replicas in the market these days. So, it is important to be wary while buying a Gucci watch because chances are you might even end up buying a fake one without ever realizing it. 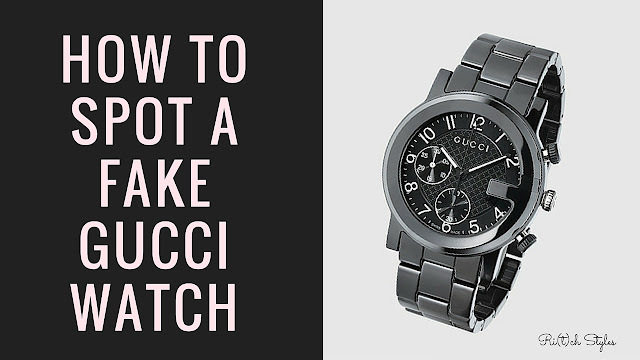 This brings us to the question: how do you spot a fake Gucci watch? Are there any rules or tips one needs to follow so as to remain on the safer side? Liquid Hair Alchemy - Repair, Protect, Nourish! Having fine hair makes my hair prone to damage much more easily than other hair types, as it is fragile. The shiny and strong hair of mine that you see is thanks to the care that I take on a regular basis with products that I use at home, or salon treatments. 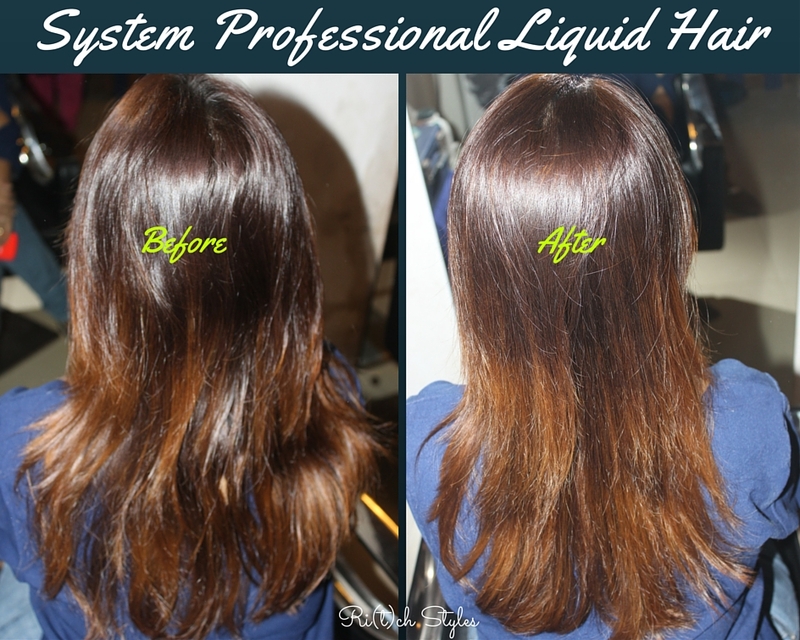 My latest hair care discovery is an amazing product called the System Professional Liquid Hair which is a Molecular Hair Refiller that reconstructs the hair fiber at a molecular level, reinforcing the hair for up to 5 washes. It contains the renowned RPN (Repair, Protect, Nourish) formula and is infused with New Molecular Hair Restructurer technology with keratin building and essential amino acids blocks to instantly refill the hair cuticle and strengthen lastingly damaged hair. With the wedding season here and the number of hairstyles being done on my hair, I needed to take a lot more care of my hair at the moment which is why the SP Liquid Hair treatment felt perfect. 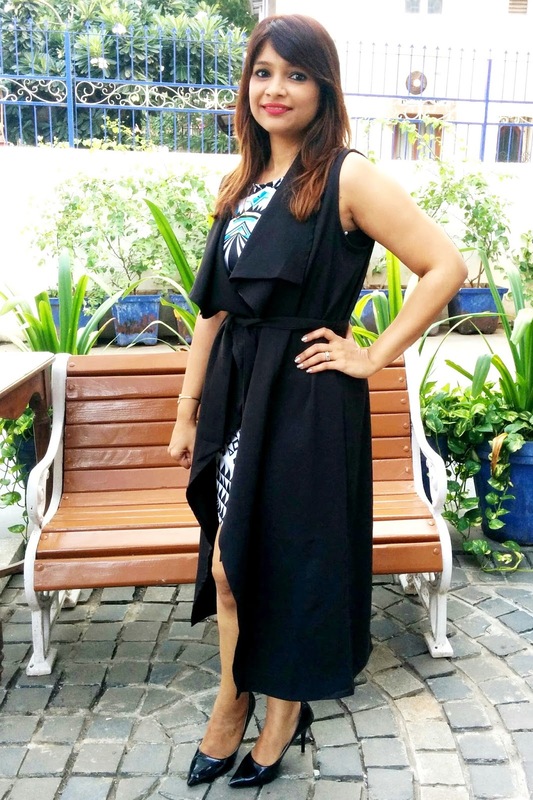 I headed to Placid Salon at Khar to try the treatment and make myself stress free for at least 2 weeks. See the difference for yourself to know why I call it amazing! Balancing life with Lever Ayush! Life in today's world is all about working smart and getting most out of your day. 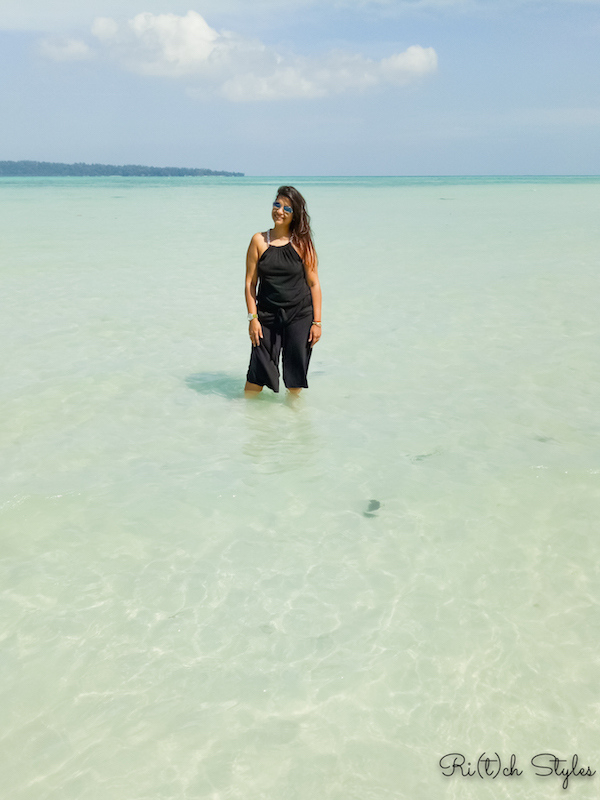 But there are days when things don’t stay in your control like getting stuck for hours in a traffic jam or the baby refusing to sleep till late into the night or back to back socializing and in the current season, loads of weddings to attend to. If you have too many of these days in quick succession then life becomes imbalanced and effects of this imbalance becomes visible in more than one way. You may have an acne breakout, a backache, headache/migraines and even hair loss. I have recently started using the Lever Ayush range of products to fight some of these imbalances as it helps you rediscover health and vitality through customized Ayurvedic solutions. These products are specifically designed to solve problems brought about by the pressures of a modern day lifestyle. 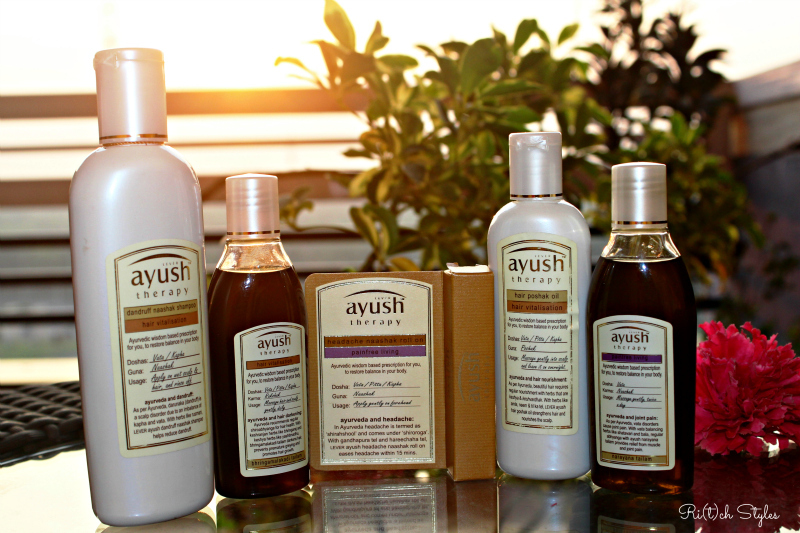 The Ayush range consists of products for skin, hair, pain management and oils. The product range name is simple and the name itself communicates the intended benefit. The mega season is here – Festive, Party and Wedding season all in one! Grooming needs to be taken extra care of this season, as the weather is changing and also because we are so busy that our schedules go haywire leaving us pressed for time. Due to those pesky ads, personal care can be misunderstood as something that only teenagers need as most of us are assumed to be knowledgeable enough. However, it’s not so and grown ups need tips too. So I'm starting with essentials and each one of us should have a well-stocked set of personal care instruments at our disposal. Happy Diwali & a Prosperous New Year! Imitation is the sincerest form of flattery, especially when your own children do it. Daughters usually emulate their mom and whenever Aryaa does that, I feel super special! My morning routine usually comprises of a couple of things before she wakes up but I always leave sorting and washing of clothes to be done after she up as she enjoys watching me do that. It's accompanied by claps and laughs as I throw clothes into the basket while she watches from her high chair. However, that she would try to imitate me so soon is something that I had never expected. One morning after she woke up, I was busy getting her morning milk ready and when I came into the bedroom, I saw that she had pulled out all the clothes from the laundry bag and was trying to put them into one of the buckets that I had kept there for sorting the clothes. She clapped every time the clothes landed into the bucket and when they didn't, she would pick up and try again. She didn't notice me watching her and after a while tried to even pick up the bucket full of clothes and walk towards the washing area. Diwali is here and the celebrations are on! For me Dhanteras is special because it's all about going and getting yourself that particular piece or maybe pieces ;-) of jewellery that you have been eyeing without worrying about permissions. You can't say no to gold today! In fact if you are lucky enough, then the husband or the parents will land up buying you that piece :) For me that one piece currently is from the house of Zoya by Titan. 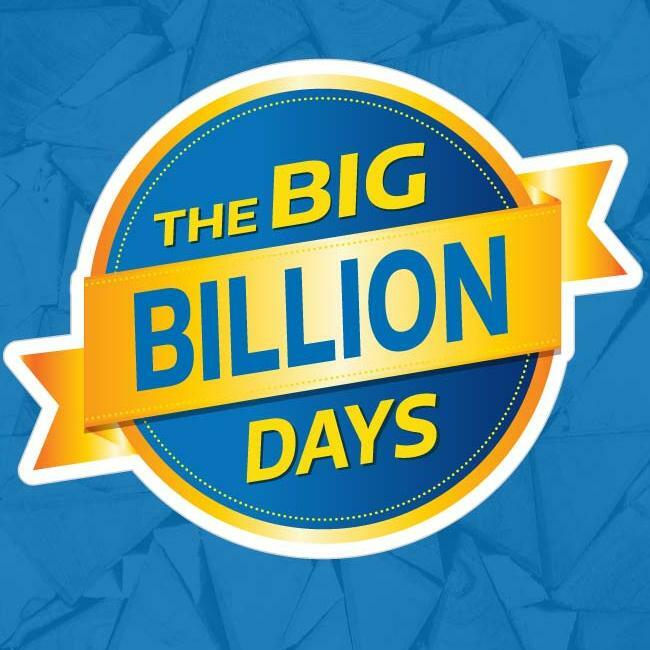 Aryaa's Diwali with Flipkart's Big Billion Days Sale! Diwali is just around the corner and Diwali shopping for many is a ritual that is practiced year after year. 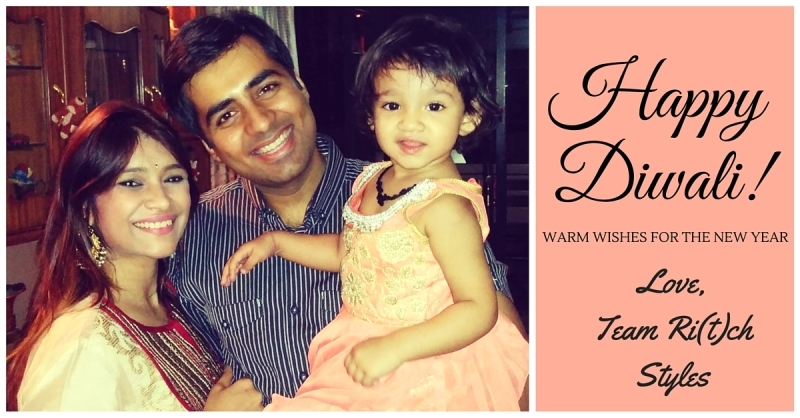 But for some like me, this Diwali is extra special because it's going to be Aryaa's first where she is going to be dressed up in her Indian best to celebrate the festival of lights. I have left no stone unturned to shop for her this year and my partner in crime has been Flipkart's Big Billion Days sale that gave me the best deals I could get!! Having been born and brought up in Mumbai, this city is really close to my heart. It's vibrant and the buzz and energy that this city possesses is unbeatable in this country. It's a melting pot of cultures and I love this city for the life it has given me. This post is about the fun video that we shot to encapsulate a lot that I love about Mumbai - different area, different spots, shopping lanes and places by the sea that I hang out at often and what makes this city what it is. I'm going to show you all this through selfies taken by the Asus ZenFone Selfie. I clearly remember my first day of college - a new life, new friends, new clothes and a brand new pair of Converse to guide my footsteps for what would be a new chapter in my life. Those Converse I still have - a pair of Chuck Taylors that is my prized possession even today. It's gotten really worn out but it still keeps my memories fresh, which makes it a part of me and my life now and has got defined by the moments we spent together. 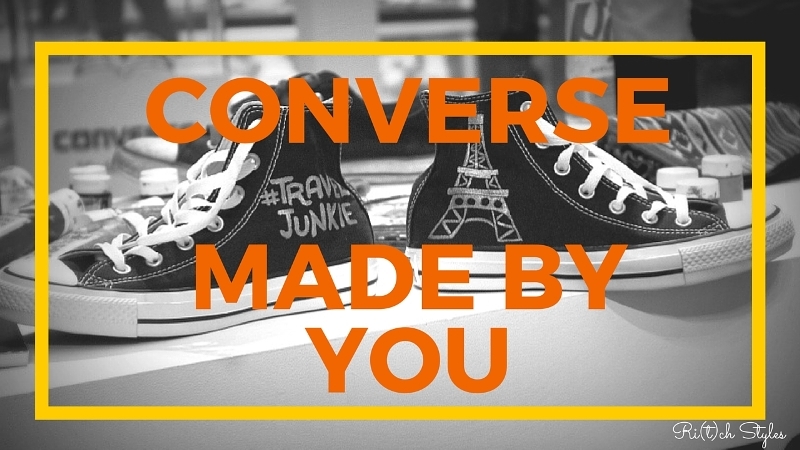 As Converse tells us - Every new pair carries a powerful message: This is your blank canvas waiting to be filled, ultimately becoming a unique celebration of your true, authentic self thus 'Made By You'. 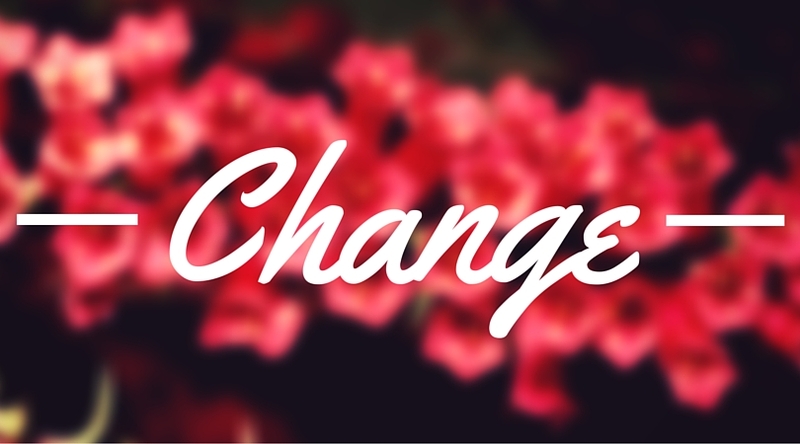 Change is the only constant in life and change is only for the good - something that I believe in totally! Something that a well known brand also believes in and has made a huge change to their product offering for the better - A hair care brand and they have gone a step further and who gotten themselves a new brand ambassador who is currently taking Bollywood and the fashion world by storm! So let me spill the beans for you - Livon has changed! 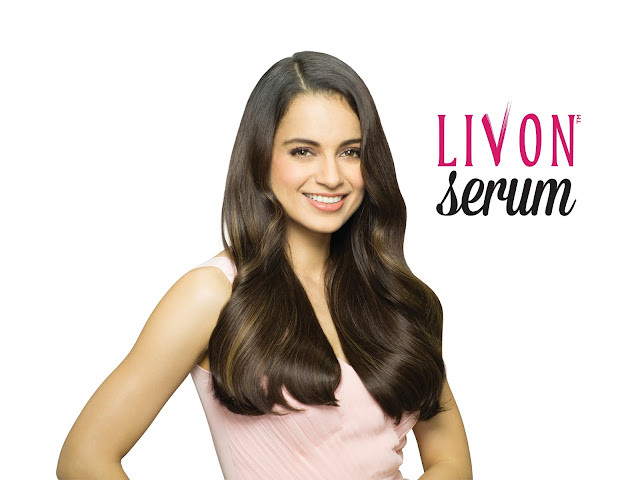 It’s now the next gen Livon Serum with a new, ultra-lightweight formulation. Designed for today’s women who do not believe in compromising on either hair beauty or hair health, this product gives you fabulous looking hair while protecting it from damage. Livon’s first brand ambassador, none other than the Queen of Bollywood and youth style icon, Kangana Ranaut is leading this change and it seems to be a pretty good change! Being the hair colour fanatic that I am, I don't need reasons to colour my hair. I loveeee the feeling of colour in my hair and sometimes the time gap between colouring sessions is even as less as 2 months. I do not colour to cover my greys cause they haven't popped out yet, but if that is the reason why you guys think I regularly colour my hair then :P:P:P. For me, it's all about a new look and colouring my hair is the easiest way to have a makeover for oneself. 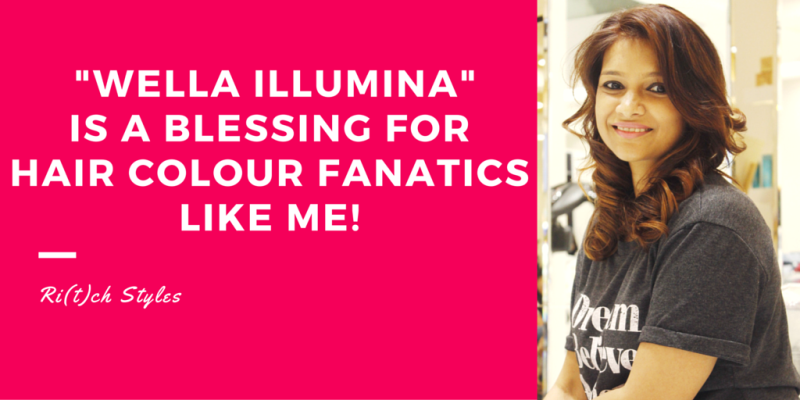 Loads of you are petrified to colour your hair due to the various myths present, and also in some cases, colours in the market that tend to be so harmful that they spoil your hair completely. 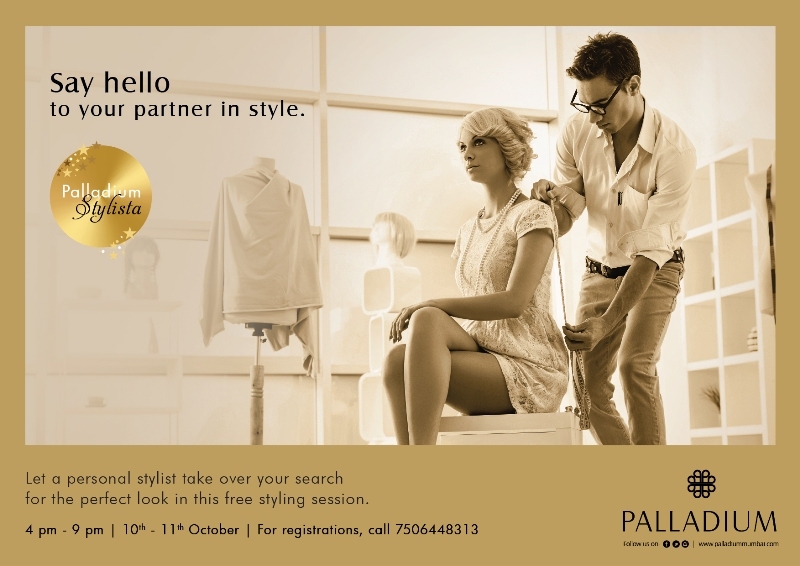 Hence it is always necessary to do the research well, and go in for a good brand and a good salon to get your hair colour done. Corporate Social Responsibility (CSR) has evolved in a big way in India over the years and since the CSR law came into effect on April 1, 2014, the entire scenario in this country has changed much faster for the better. Vodafone, the world's leading international mobile telecommunications company, with equity interests in 27 countries and partner markets in more than 40 countries is a key CSR player in our country. With the establishment of the Vodafone Foundation in India in 2007, it confirmed then and keeps up even today with the group's commitment to invest socially in the countries where it does business. 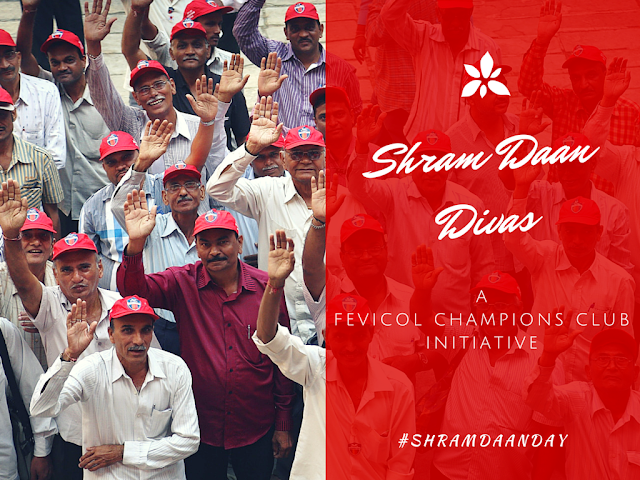 Vodafone believes in 'Mobilising the community, mobilising social change.' The Vodafone Foundation in India harnesses the power of mobile technology to deal with some of our most pressing challenges relating to education, health, equality and access. They focus on 4 areas - m-women, m-education, m-health and m-agriculture, and tie up with charities, development agencies and the community to drive social change. ‘World of Difference’ is their unique employee engagement programme that focuses on disaster relief and implements. Being a girl and knowing how education has benefited me, I know how important it is for girls to be educated. I also now have a child who is a girl and I know I am going to leave no stone unturned as far as her education is concerned. Girl education is imperative not only in a country like India but worldwide too as 62 million girls around the world are not in schools. However, efforts in one's own country is the first step to empowering girls, and thus multiplying the impact on society and contributing to the world in our own way. 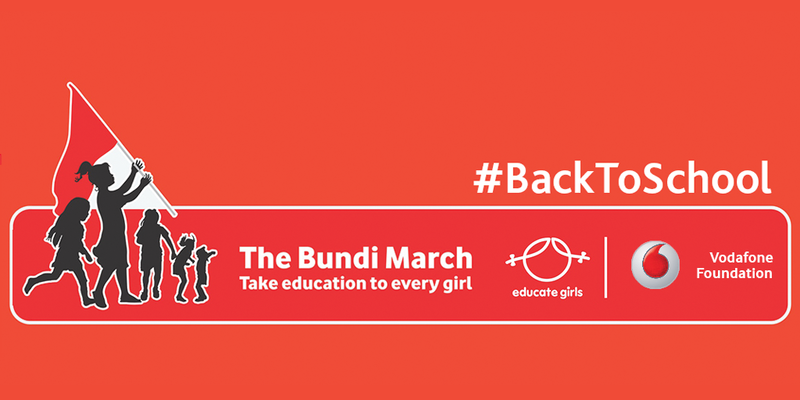 Girls need to be educated for the interest of their families and their communities, thereby benefiting the nation. 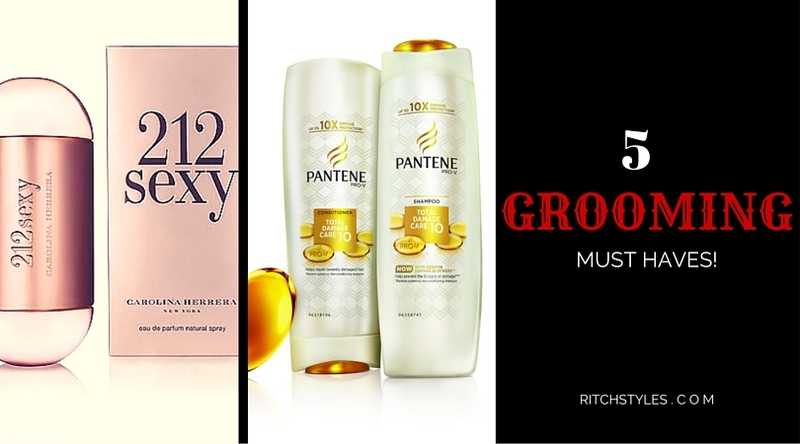 My July & August 2015 Makeup, Skincare & Haircare Favourites! Hello people! I'm back with my favourites list and once again have clubbed July and August 2015 together! Some of you must have already seen the video as soon as it went live on my Youtube channel - https://www.youtube.com/user/ritchstyles but if you haven't yet checked it out, then I have it right here for you! There's makeup to skincare to a lot of hair products for you to see what's really worth picking up from the market. A big thank you to those of you who regularly comment on my videos and subscribe to my channel. I have loads of interesting videos up now and lots more interesting ones coming up. If you haven't subscribed or missed any videos, then do head to my YouTube channel to subscribe and to see them. 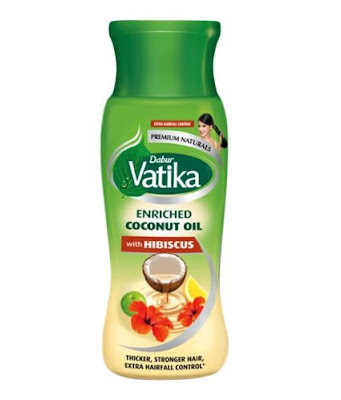 Some products over time with use become your Holy Grail products and one such product that I can’t do without anymore is the Dabur Vatika Coconut Enriched Hair Oil. You guys have read my experience here and also the damages that it cures here, but do you know what all it’s enriched with? Coconut Oil – Tones hair thus preventing hair breakage and hair fall, prevents hair damage and premature hair graying, removes dandruff and prevents frizz and split ends. Amla- Conditions hair, removes dandruff, helps, scalp produce natural oils, rich in Vitamin C and antioxidants that prevent premature graying. Henna- Adds shine and volume, colours hair naturally, prevents damage, promotes hair growth, reduces hair fall, prevents hair from greying. Lemon- Fights dandruff, strengthens hair roots, prevents hair loss, stimulates hair growth, deep conditions hair, adds strength and makes the hair shinier and thicker. There is a variant that has Hibiscus too! Hibiscus- Encourages hair growth, discourages split ends, prevents pre-mature greying of the hair strands, thickens hair and helps eliminate toxins. Not only did Dabur Vatika Enriched Coconut Hair Oil strengthen my hair from root to tip and encourage hair growth, it also helped against hair loss, hair damage and I still am free from any premature graying. It has worked wonders from the first use itself and is something that I recommend to everyone now. Taking the Levi's 711 from Day to Night! Exactly! You need to head to The Wrogn Auditions now!! A set of 10 questions with no so called “correct” answers will be thrown at you with a timer ticking away, and the right answers will take you ahead while the wrong answers will get you thrown out. Fret not, losing here is not that easy as a simple share on Facebook/Google + will give you another shot at the auditions. Winners who clear all 10 questions stand a chance to win an all expenses paid Hangover Weekend in Vegas with your 3 besties of course! I played a couple of times and I will be honest with you that the first time round I was thrown out in the first round itself because hell no, you cannot parallel park when you are drunk, not because you are not capable but because you shouldn't be doing it since drinking and driving is not what you should do! So while I proudly said I can, I was smacked on my face with this answer which made me really feel ashamed. So now you know what I am talking about. Don't think that you can put your thinking cap on and get through this game. It is an out of the box experience playing this and the max I could reach was the 6th round which makes me realize that I still don't think that unconventionally. Sigh! However I know one of you lucky ones there is going to make me proud and take that jing bang of yours on the most amazing Hangover inspired trip to Vegas! So what are you waiting for, Virat's waiting for you! The #PepeKidInTown launch took place last week at Tote on the Turf in Mumbai, and Aryaa received her first official invite for this event. She had a ball! The launch setup was like a kids carnival. The runway was gorgeously created with a dreamy feel and had balloons floating all over. 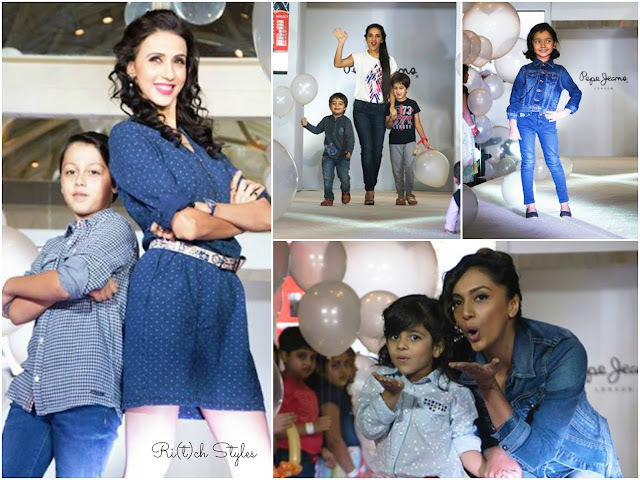 Tara Sharma and Alesia Raut walked with their kids, while Natasha Suri, Anchal Kumar and Shveta Salve walked the ramp with their nephews and nieces. It indeed was a cute affair! They have launched to currently cater to children in the age group of 4 to 12 years. 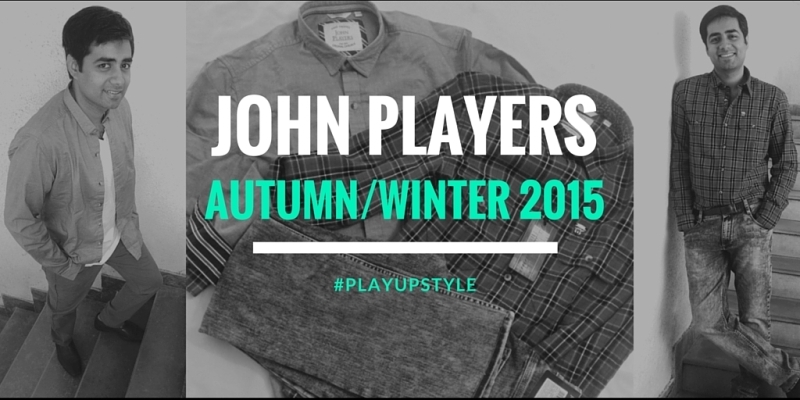 The Autumn Winter 2015 Collection is their first collection and consists of casuals that Pepe Jeans is synonymous with such as their classic jeans, stylish denim jackets and cool printed t-shirts and shirts for boys; and gorgeous coloured jeans, denim shorts, skirts, playsuits, cute tops and pretty dresses for girls. Denim shorts are a kids staple and this cutout emboidered shorts with this baby pink t-shirt make for the cutest play time outfit. Comfy yet smart! Dresses are a part of every girl's wardrobe and are the girliest things that our little princesses can own :) These floral and polka dot ones are my favourite! 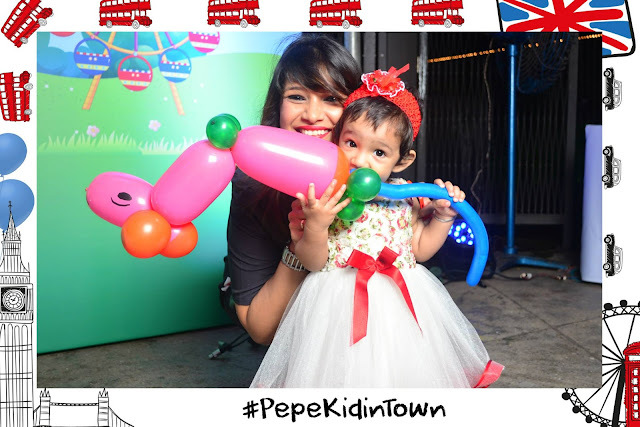 When it comes to the Pepe Jeans A/W '15 boys collection, they make people like me who don't have a boy, crave to have one thanks to 3 super cool distinct stories that they have created. The Indigo Collection consists of cool washes and strong prints. The colour palette comprises of the lightest to the darkest blues with focus on brick red and gold. Outer wear and shirts are key to the Bohemian collection inspired by the great outdoors and you can see checks in different sizes amplified to its best to suit a kiddie range but remind you of adults. The Classic Sport look is very university inspired with embroideries, appliqués, and union jack inspired graphics. Colours are a perfect mix of bright and classic tones, rugby greens, classic shades like burgundy and navy with gold highlights. The collection surely spells out fun! These yellow coloured shorts will be the brightest thing to pep up your child's look with that nice mint t-shirt. Throw on this star print denim shirt to up the coolness quotient for your little dude! Playdates are fun times and this lovely collared t-shirt with these cargo pants and eye catching denim jacket is perfect for that outing. You want your kid to look the best and this look will do that trick! 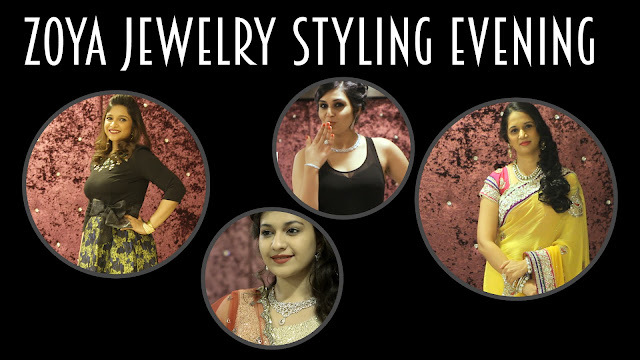 Aren't you as much in love with their collection as much as I am after seeing these adorable looks? Well then head to the nearest store and start shopping. The Kids wear Collection will be available at exclusive Pepe Jeans stores at Connaught Place and the newly opened Kamla Nagar store in Delhi, at the Linking road store and at R-City Mall, Inorbit - Vashi and Infinity Malad in Mumbai; as well as at the Pepe Jeans store on Bel road, HSR, HRBR, Indiranagar and Banshakari in Bangalore and select Pepe Jeans outlets in Lucknow, Goa and Hyderabad. The prices start at INR 499.